Upon entering our office, our Front Desk Chiropractic Assistant will welcome you as a member of our family. We will request that you complete our New Patient forms located in the New Patient Center. This paperwork provides us with your health history and information on your condition. You will be assigned your private PIN (Personal Identification Number) to allow you to sign into our practice. You will meet the doctor and have a comprehensive consultation and chiropractic examination. Your initial visit is designed for Dr. Brooks and Dr. Gomarko to learn more about you, your condition, and expectations to determine how chiropractic care can meet your goals. 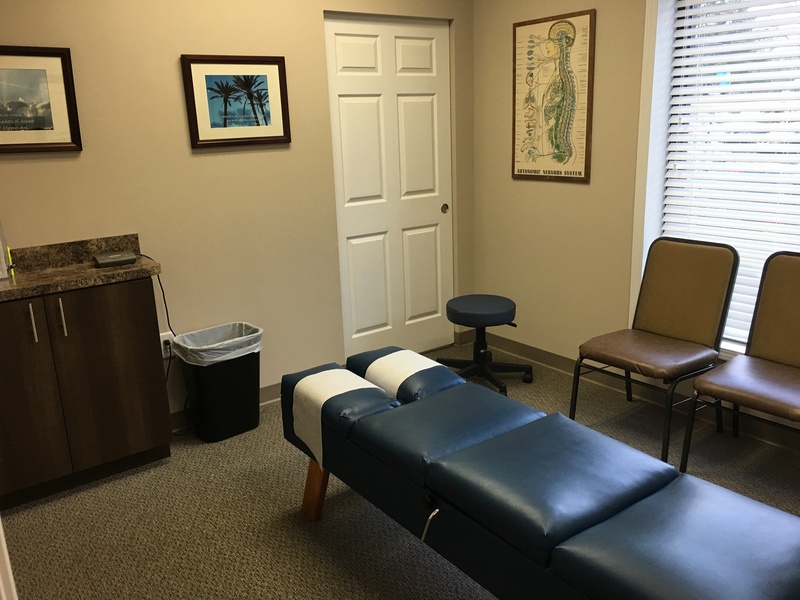 The Doctors will perform a complete chiropractic examination testing your range of motion, flexibility, posture, and check your spine for subluxations. Other standard neurological, orthopedic, postural, and physical tests will be performed as well according to need. 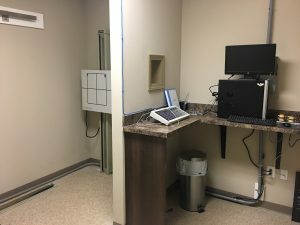 Once the information is collected and examinations are performed, Dr. Brooks or Dr. Gomarko may initiate chiropractic care immediately, or may choose to wait for x-ray studies. 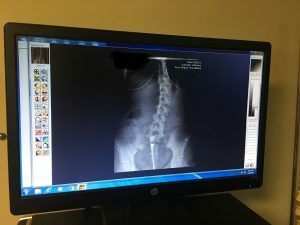 Our facility has state of the art enhanced Digital X-rays right on location This allows us to obtain the necessary information about your spine immediately and with the highest degree of precision. We also can burn the images to a CD the xrays are needed by another member of your healthcare team. After reviewing your health history, goals, and examination findings, Dr. Brooks and Dr. Gomarko will discuss recommendations and notify you if your condition requires care with other providers. We will will provide the best recommendations for corrective care and wellness programs for your needs. They may also recommend specific exercises to facilitate your spinal correction and strengthen your spine. At the conclusion of the Report of Findings appointment, you will begin your Corrective or Wellness care. This will include spinal adjustments and may also include trigger point therapy, decompression therapy and muscle relaxation techniques. Prior to leaving, the doctor may suggest a program of home care. If you are in pain when you first come into our office this may include: ice or heat application instructions, certain activities or positions to avoid, and at home exercises and/or stretches.